Freedom research papers look at the differing parameters for what Freedom means to individuals and societies. There is no simple or easy way to define what freedom truly is, as every individual and each society has differing parameters for what this notion looks like. Politicians and social scientists, for example, have very different ideas of what constitutes freedom. 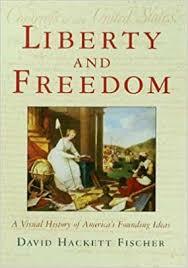 From a political standpoint, one might argue that freedom is closely intertwined with economics and that “economic freedom is also an indispensable means toward the achievement of political freedom”. This idea has to do with a citizen’s right to choose his/her own job, and to spend the earnings from that job on anything that he/she pleases. Economic freedom is a big part of American culture, and what many people strive to achieve in their lifetimes. From a political standpoint, freedom also includes having the ability to choose who leads the country in which a person resides. Sociologists and other social scientists may offer a slightly different, and perhaps more broad, perspective as to what freedom is. These professionals are more apt to include freedoms of religion, marriage, speech, and other humanistic ways of life in their over arching ideas about human freedom. This being said, the founders of the United States might have been considered social scientists when drafting the U.S. Constitution, its subsequent Bill of Rights, and the Declaration of Independence. Regardless of who is being asked, it is clear that freedom is a multi-faceted topic with many varied pieces making up an idea that might never be completely defined in a single manner. Free Speech research papers overview the First Amendment rights of all citizens for the freedom of speech. Right to Bear Arms research papers cover the Second Amendment. Order a research paper on the right to bear arms from Paper Masters. Search and Seizure research papers debate the Fourth Amendment of the United States Constitution. First Amendment research papers discuss the right to privacy of all U.S. citizens. Fourth Amendment research papers discuss search and seizure according to the United States Constitution. Fifth Amendment research papers on due process overview Miranda v. Arizona as it applies to the United States Constitution. Eighteenth Amendment research papers discuss prohibition and the government making alcohol illegal via the United States Constitution. Tenth Amendment research papers look at the 10th Amendment of the United States Constitution. Fourteenth Amendment research papers look at the Constitution and how the 14th Amendment was used in the Civil Rights Movement. Paper Masters writes custom research papers on Freedom and look at the differing parameters for what Freedom means to individuals and societies.